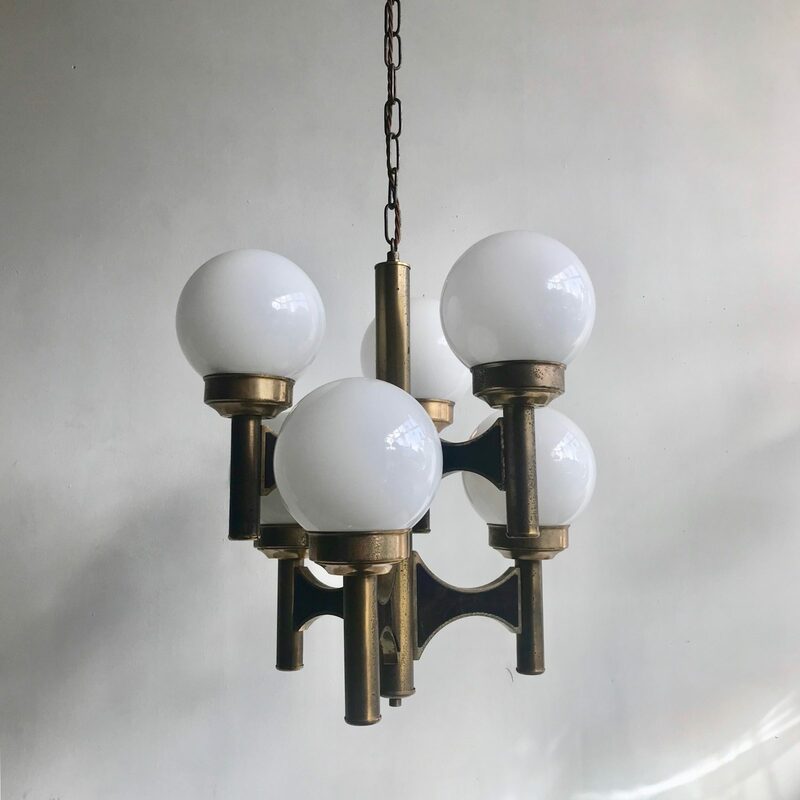 Mid Century globe shade chandelier with six polished glass globe shades. The pendant has a lovely darken pitted brass finish which has developed naturally over time. Shaped black acrylic panels also add detail to the frame. The chandelier requires six B15 bulbs. The chandelier comes with a ceiling rose, chain and braided flex. This chandelier is very similar is style to #1244. This pendant has been fully restored and rewired here, in Stockport, near Manchester by our small team of experts and is now ready to be installed. We recommend that this pendant is installed by an electrician into a joist or a supporting noggin. To clean dust the metal components regularly with a soft cloth. The glass shades can then be wiped with a glass wipe or a cloth that has been sprayed with glass cleaner. A final wipe with a paper towel will give a polished finish.